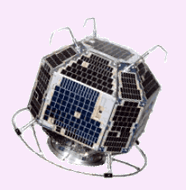 Subject: [amsat-bb] Re: CO-65 9k6 Digipeater hint... Award needed ? Yes, the uplink frequency is 1267.603MHz. 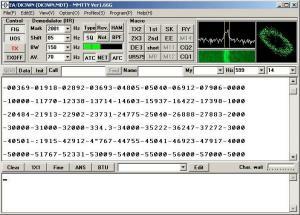 for these periods in March 2009.
you will be able to digipeat your GMSK signals. because the output power from CO-65 is 300[mW]. This is VERY VERY weak output power from CO-65. Subject: [amsat-bb] Re^2: CO-65 9k6 Digipeater hint... Award needed ? > I could not decode them. Signal was pretty strong on the downlink. > Just using HyperTerminal and I'm sure I have a setting wrong. > Is there an easy program to use to digi that doesn't involve agwpe? I'm now using UI-View32 with TNC modeled G3RUH. Subject: [amsat-bb] Re: AO-7 70-cm RTTY beacon and telemetry on! Betreff: [amsat-bb] Re: AO-7 70-cm RTTY beacon and telemetry on! 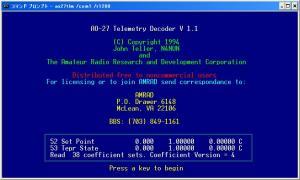 decode channel 11 through 16 from it to augment David's (VK5DG) decodes. to David for finding the 70-cm beacon on and decoding so much!